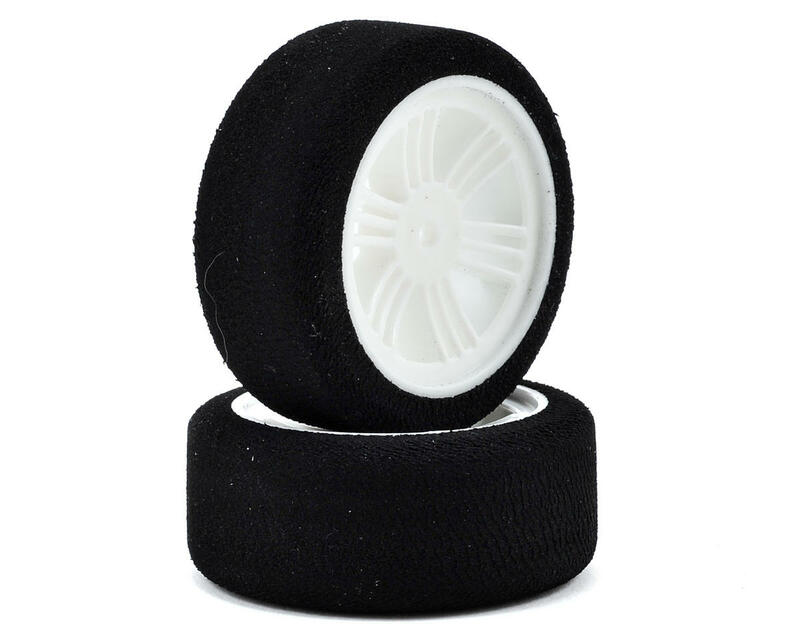 This is a set of two 27mm wide Contact RC 1/10 Scale Electric Sedan Tires mounted on Standard White Wheels. Made with an innovative foam compound, Contact RC tires are made with only the best materials, and rated using a fully automated durometer hardness system that provides consistent shore rating/density from tire to tire. The fully automated gluing, and truing processes mean that every single tire produced meets the high standards required by top level racers. Available in shore ratings from #37 to #42. The standard wheels have been developed with the knowledge and experience of some of the world’s best drivers. 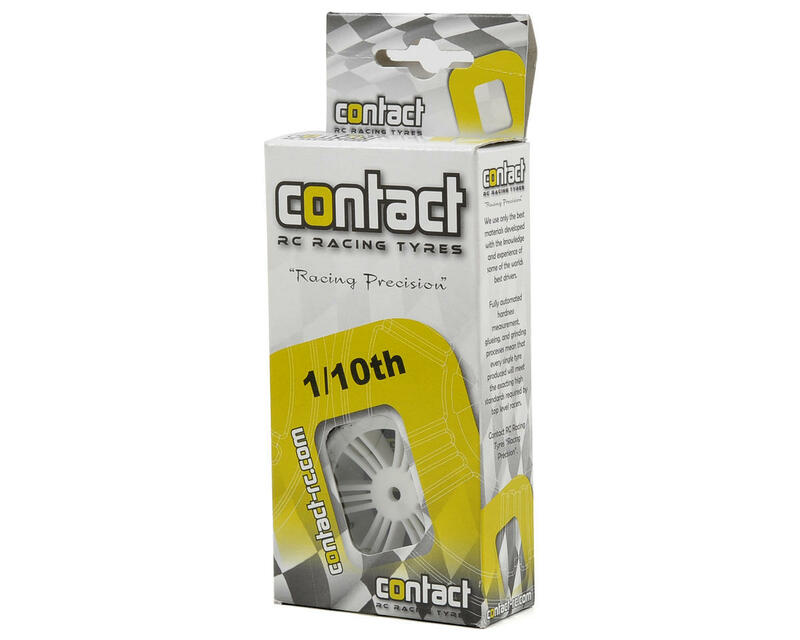 They are good in all conditions, and well suited to club racers and low-medium grip levels.